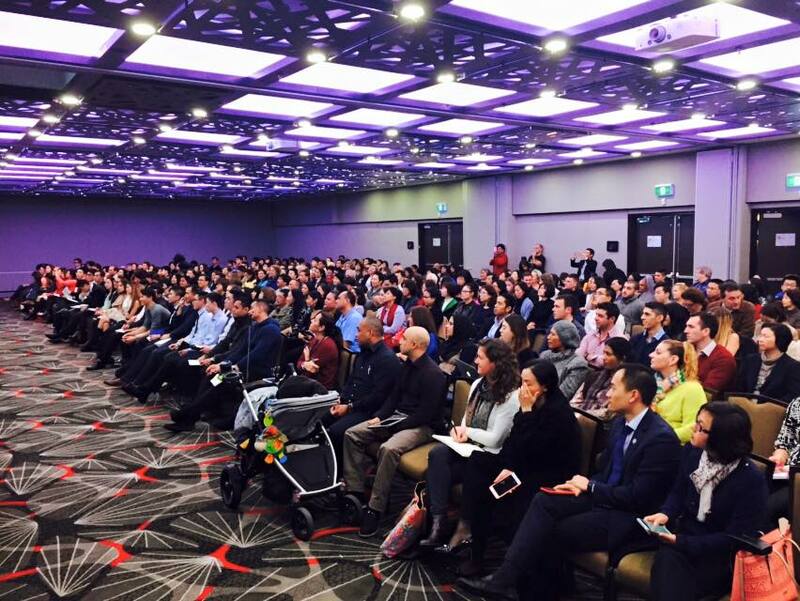 Over the past few years, USANA have hosted some of the most amazing events around Australia and New Zealand. We’ve had the privilege of hosting dynamic and brilliant individuals, such as Chris Folland, Tony and Tammy Daum, Michael Callejas, Jordan Kemper, Dr Karen Wolfe...the list goes on. For the June Roadshow, the pressure was certainly on to create something magical, so we turned to two of the best in the business and invited them to come down-under to train, teach, motivate and inspire. Diamond Director Anna Lozano and her husband Yvan, and Dr Brian Dixon accepted the challenge, and reached our shores in early June. The first event for the Healthy Business June Roadshow Tour was held at the Melbourne Convention Centre, one of the only venues big enough to host the enthusiastic and fast-growing Melbourne audience. The guest event was last Friday night (June 12) and almost 1,000 people, many of them guests, came along. Boy, did they get a treat! During the event, Dr Brian Dixon communicated strong science in a brilliantly entertaining way, while Anna Lozano shared her story and gave a compelling case for guests to consider a USANA business. It would be hard to hear her presentation and not take action! Friday's event in Melbourne was also the venue for the worldwide launch of USANA’s latest product Proglucamune, a breakthrough immune-support product, available for purchase in July. On Saturday morning, we were all back, bright and early, to soak up a brilliant training session from Anna on building a strong USANA business. 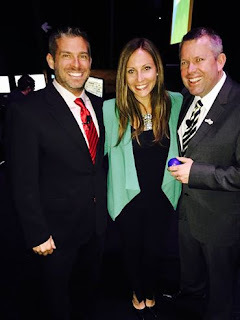 The room was abuzz with activity, especially when she dared the room to a live team calling invitation challenge. One amazing Associate managed to organise six presentations in just 15 minutes, wow! After the business session, Brian took the time to dig deep into immunity, and helped Associates to learn more about this amazing system. Associates were certainly empowered to maximise the Proglucamune opportunity, and were enthralled by Brian’s engaging training. On Saturday afternoon, Anna, Yvan and Field Development’s Pamela Ferry headed to the fast-growing island state of Tasmania, whilst Brian and Geoff went west to the beautiful city of Adelaide. The Adelaide event was in the brand new Convention Centre - an awesome building. It certainly took commitment to give up a Saturday night and come to the event, but Associates and guests filled the room. Not only did Brian do an amazing job, but Ruby Director Mitchell Kochonda spoke about the business opportunities available. It was my first chance to hear Mitch on the stage, and he was incredible. Watch this space, this guy is an up and coming Diamond for sure! After a great team meeting Sunday morning over breakfast, Brian and I jumped on a plane to head to the mining state of Western Australia. Perth certainly turned on the weather! Brilliant blue skies with not a cloud in sight. The Swan River sparkled and we had a morning off to enjoy! Brian being a fitness fanatic dragged me along for two non-stop hours of squash in downtown Perth. It was a great cardio workout, but even better, really good fun! Careful before you challenge Brian to anything, this guy is FIT!! Come Monday night and the event was packed. Over 200 Associates and guests enjoyed Brian and Anna's presentations, which motivated and inspired the audience. The atmosphere in the room was electric! Tuesday morning, and we were on the early flight east. It gave the traveling team and chance to rest and recharge to be in peak shape for the big event in Sydney. As always the Sydney teams showed up in their hundreds, the room was packed! Although it was a guest event, we did give flowers and celebrate the success of some amazing over-achievers.There was a new Diamond, three new 1-Star Diamonds, two Million Dollar Club members and a new 7-Star Diamond in the audience. The success of Associates building huge solid businesses is inspiring. The last stop in the tour (for the Aussies at least) was Brisbane - always a great audience. I thought we were in for trouble with NSW beating Queensland in the second State of Origin football game the night before, but all was forgiven in true USANA spirit. One more time Anna and Brian were amazing. Everyone there was touched by how much they cared, in awe of how much they know, and inspired by how well they taught. As Dr Brian, Anna and Yvan leave our shores, we say thanks for taking the time out of your busy lives to spend time with us in Australia. You are welcome back any time. You have changed many lives, and empowered many individuals. At the end of the day, that’s what we are all about! I hope you all enjoyed this event as much as I did, and I look forward to seeing you all at International Convention.